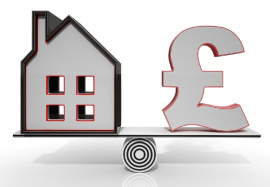 Deciding a price to put your property on the market for can be a bit daunting. You may find yourself bouncing from not wanting to lose out financially by setting the price too low to not wanting to put potential buyers off by pricing your property too high. So where do you start in trying to set a realistic sell price? We’ve put together a few tips that will help you to avoid some of the most common mistakes and pitfalls when setting a sell price. The best place to start is by getting at least three quotes from different agents that are experienced in selling properties similar to yours. Take the average of the three quotes, and you have a great starting point. Don’t make the mistake of going straight for the highest quote, if the property goes on the market at too high a price, it will not attract buyer interest and could end up sitting on the market for far too long. This may cost you valuable time and money, and could even result in the property failing to sell at all. Once you have your average figure, there are a couple of other things to take into consideration. Has the property been presented at its best? Will it come across well in the photos that will be taken by the agent? If the objective answer to either of these questions is ‘no’, you may need to lower the asking price accordingly. Setting your asking price just under that of similar properties in your area may seem like an odd thing to do, but this can also generate a lot of interest and can result in competitive bidding resulting in a good amount of offers for you to consider. This is also a good idea if speed of sale is a primary concern for you in selling your property. 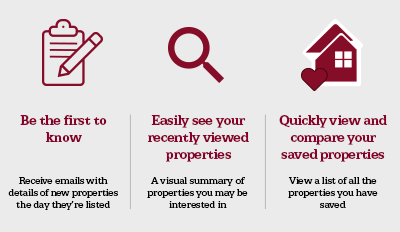 If you would like more information on making sure your property is well presented, or any of the other aspects of selling your property, see our complete guide to selling here.